describe your birthday ... "Blessings". your gifts of love are ready to be open. fulfilling the purpose of your life,. God's blessings will be with you. in your thoughts, in your daily walk. giving them love as God gives you. Happy Birthday and rain down blessings. 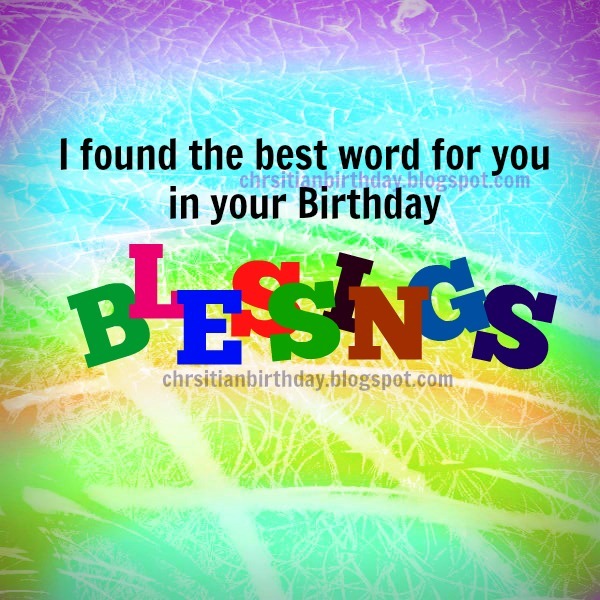 Blessings on your Birthday and all the time Christian Card, Free Christian card with nice christian quotes by mery bracho.